Back in July 2014, the FTC sued Amazon claiming that the company had allowed children to make in-app purchases without the consent of their parents. This past April, a judge ruled that Amazon did not warn or safeguard Appstore users about unauthorized in-app charges made by these minors using freemium apps. On Thursday, a federal judge ordered Amazon to set up a process that over a year would help reimburse parents for these charges. When the FTC brought its original suit against Amazon in 2014, the government agency said that Amazon didn't prevent kids from running up $86 million of unauthorized charges while playing games like "Pet Shop Story" and "Ice Age Village." 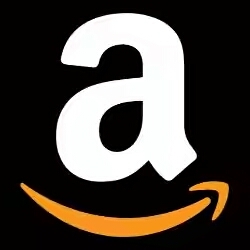 Amazon has since added protection to prevent users from getting hit by unauthorized charges. The court's ruling requires Amazon to start notifying parents early in 2017 that they are eligible for a refund. The court did shoot down a request by a U.S. regulatory agency for Amazon to settle the charges with a $26.5 million lump sum payment. U.S. District Judge John Coughenour, who is overseeing the case from the bench, agreed with Amazon and said that the $26.5 million was too high a figure. On the other hand, the judge shot down a request by Amazon to pay the refunds in the form of gift cards. He said that if allowed, Amazon would "undoubtedly recapture some of the profits that are at issue."